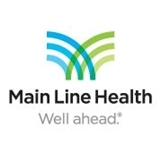 Main Line HealthCare Internal Medicine of Delaware (Drexel Hill) - Book Appointment Online! Took the time to actually talk to me. Makes you feel very comfortable. Encourages you to ask questions. I just switched to Dr Barrios because my previous physician moved to a different practice. I was pleased with my decision to go with Dr Barrios because he made the experience feel like I had been his patient for years. Dr. Cikowski gives as much time as needed and never rushes his patients. Very thorough and caring doctor.